If you find there is a yellow triangle under the PCI Data Acquisition and Signal Processing Controller in device manager on Windows 10, you may sometimes experience trouble with network connection. As for why the PCI Data Acquisition and Signal Processing Controller came across a problem, the cause mainly lies in the PCI Data Acquisition and Signal Processing Controller driver missing or not installed correctly or not detected on Windows 10. But it is a necessity for you to download and install the Intel Dynamic Platform and Thermal Framework firmware, of which the package provides the customized Intel Dynamic Platform and Thermal Framework firmware and is supported on Latitude and Precision with Windows 7/8/10, in this way, to fix the PCI Data Acquisition and Signal Processing Controller error on Windows 10/8/7. You must be wondering why you are suggested to install the chipset driver on Windows 10, this is because PCI Data Acquisition and Signal Processing Controller belongs to the chipset. So you are supposed to download and update the chipset drivers to fix the PCI Data Acquisition and Signal Processing Controller Error. As discussed before, you should download and update the Intel chipset driver. Here to do that, you can go to Intel official site. After you have downloaded the Intel chipset driver you want, you are able to install it on your PC. And if you see the PCI Data Acquisition and Signal Processing Controller driver in device manager, you will find it disappeared in Other devices, it means that you have successfully solved the PCI Data Acquisition and Signal Processing Controller error on Windows 10. Of course, you can turn to Intel® Driver Update Utility and let it automatically detect driver or software updates. But if the Intel download center cannot provide you with the latest or advanced Intel chipset driver, you can also go to the official site of your PC, such as ASUS, Acer, Dell, MSI, Panasonic, etc. For instance, if you are using Acer, you can navigate to Acer Driver Download center. And then after you have chosen the Acer model, you can clearly see the available drivers can be downloaded or updated for Windows 10, including Chipset driver. Click Download to download it. But if you are not a savvy in computer, maybe you should turn to Driver Booster. Driver Booster is capable of updating the chipset driver automatically for you. It is a safe and professional driver tool designed for you. 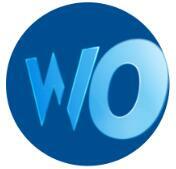 What is more, it can download and update the advanced and latest chipset drivers. So you can totally solve the PCI Data Acquisition and Signal Processing Controller error on Windows 10. Download and install Driver Booster. 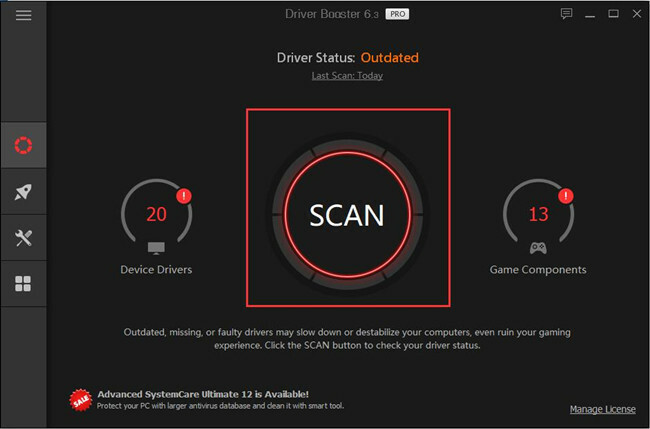 Then Driver Booster will start searching your PC and then download, install the latest device drivers for you, here such as PCI Data Acquisition and Signal Processing Controller driver if it is missing or corrupted on Windows 10. In this process, Driver Booster will prompt you to click Scan and Update clicks. All you need to do is to click them, the remaining things are to be done by Driver Booster. With the latest PCI Data Acquisition and Signal Processing Controller driver, you will not be annoyed by the PCI Data Acquisition and Signal Processing Controller driver problem. In this post, as the close relationship between the chipset and the PCI Data Acquisition and Signal Processing Controller, you are recommended to update the chipset drivers. For most cases, it is useful and rather feasible.